Like many entrepreneurs who discover that business as usual isn’t getting them where they need to go, the leadership team at UTComp is rethinking some basic assumptions about their business and its positioning in the marketplace. With the help of the Innovation Guelph (IG) Fast Lane program, the Cambridge, Ont. based boutique engineering firm has adopted a new marketing communications plan and retooled its sales strategies and tactics. “We’ve experienced a paradigm shift working with Innovation Guelph,” says Geoff Clarkson, UTComp president and CEO. Founded in 2007, UTComp specializes in non-destructive and non-intrusive testing of fibreglass reinforced plastic (FRP) tanks, pipes and other assets as well as FRP engineering and design services for the oil and gas industry, chemical processing, mining, pulp and paper, food processing, and other sectors. 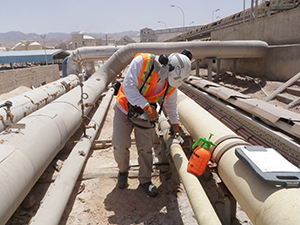 The company’s innovative ultrasound analysis technology, UltraAnalytix ™, provides clients with a fast, accurate, safe and cost-effective way to assess corrosion and test the strength and condition of FRP assets throughout their life cycle and prevent catastrophic failures that endanger public safety and the environment. Research at leading university labs and hundreds of customer facilities has validated a number of key advantages of the UltraAnalytix ™ system over industry-standard methods. UTComp serves leading clients in a range of sectors throughout North America, Europe, Africa and Asia. Yet despite their successes, the company was having trouble gaining traction — in part because FRP has captured only a tiny fraction of a $3-trillion market dominated by steel products, and because of cultural resistance in some circles to changing traditional testing methods in favour of a new ultrasound-based system. So in mid-2016, UTComp turned to Innovation Guelph for help connecting with new markets and growing the company. developing sales strategy and tactics, including ROI messaging and sales campaign tools, as well as revenue forecasting and strategic business planning. 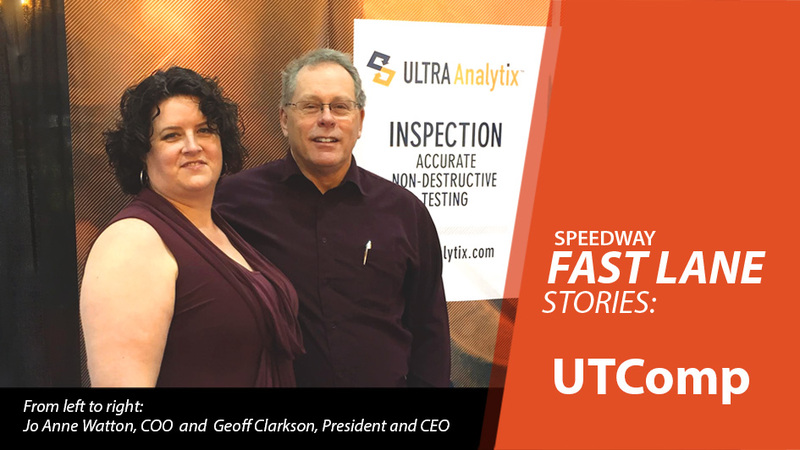 The communications strategy provided a framework that the UTComp team has incorporated in one form or another into everything they do — from technical talks to sales presentations to new branding for UltraAnalytix ™ launched at the NACE Corrosion Conference & Expo in New Orleans March 26-30. Customer prospecting tools, as well as strategies for focusing resources on larger high-potential deals, are helping UT Comp pivot from relying on one-off projects to offering long-term FRP engineering programs that provide more predictable revenue and help support sustained growth. The effort is already paying dividends, with a number of potentially very large deals on the horizon in the U.S., Europe and Saudi Arabia.